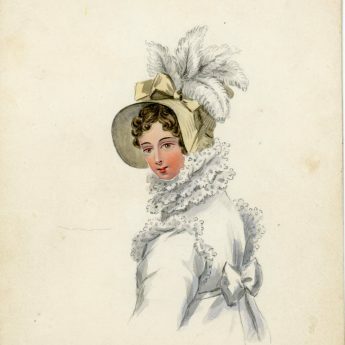 Home / Collections / Dressing Up! 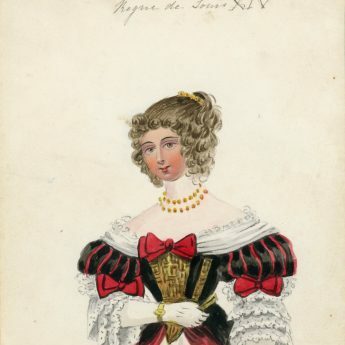 Since at least the eighteenth century, paper dolls with their fashion wardrobes have beguiled and entertained young girls. 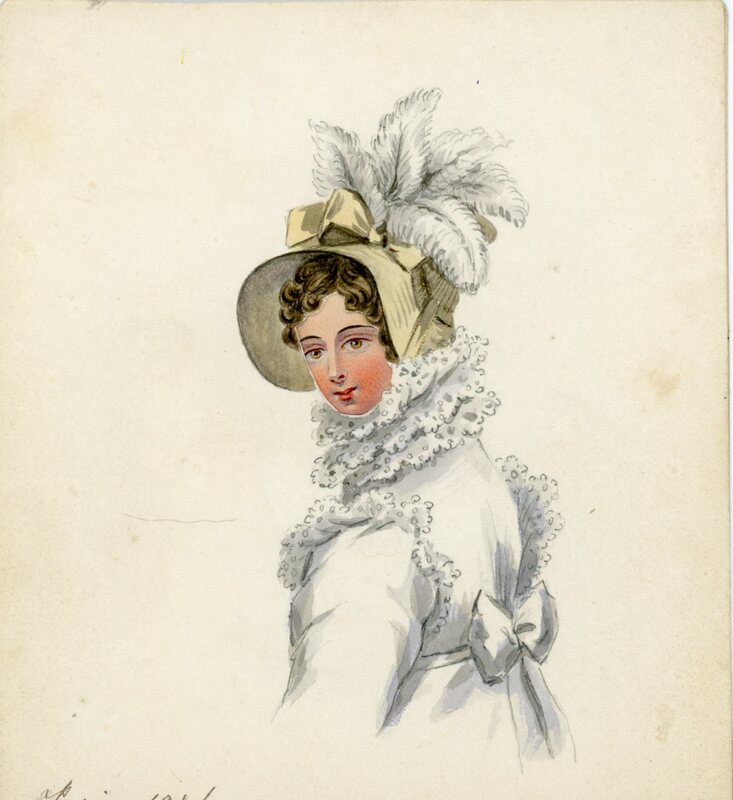 Before they were produced commercially, children and adults alike made their own cut paper dolls by hand, dressing and accessorising them in the fashions of the day. 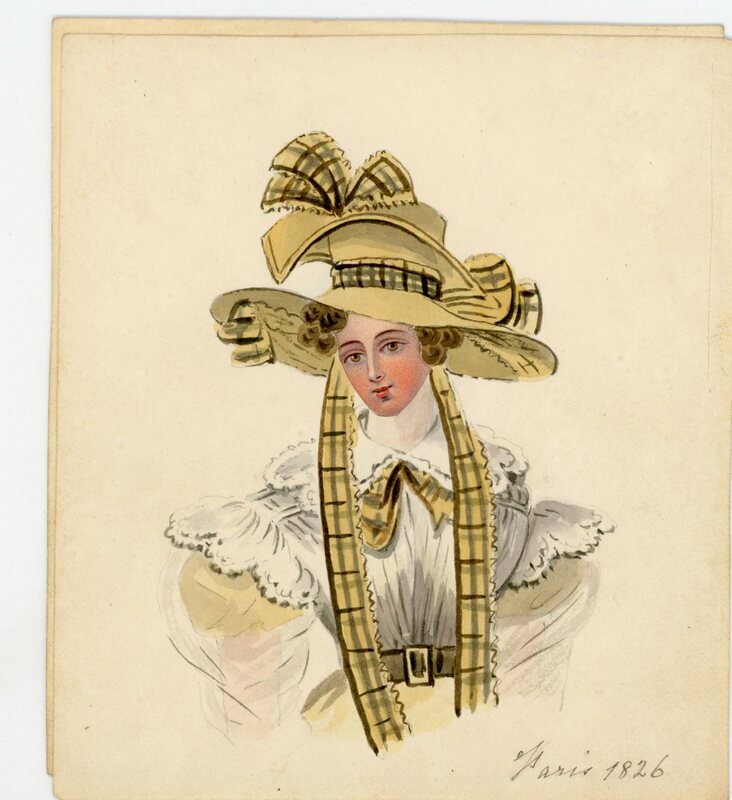 The few surviving sets of such dolls are a fascinating insight into the cultural history and fashions of the time. 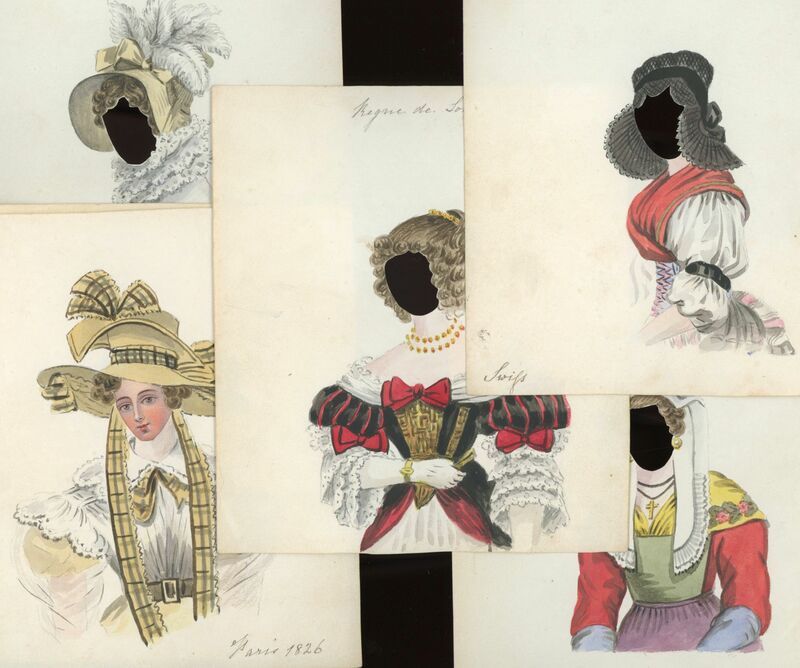 This original hand-made group is a cross-over between a paper dolls set and a parlour game. 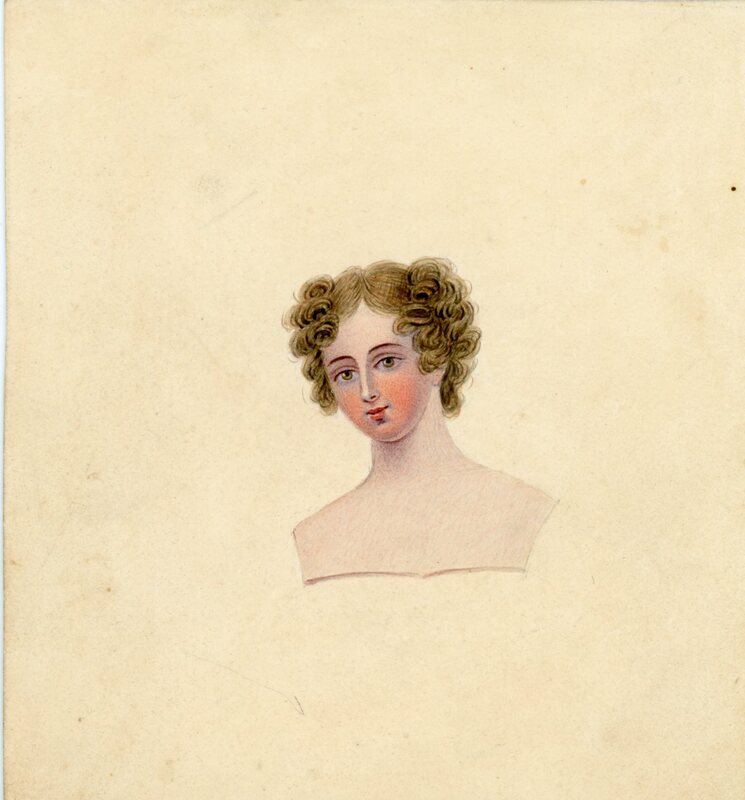 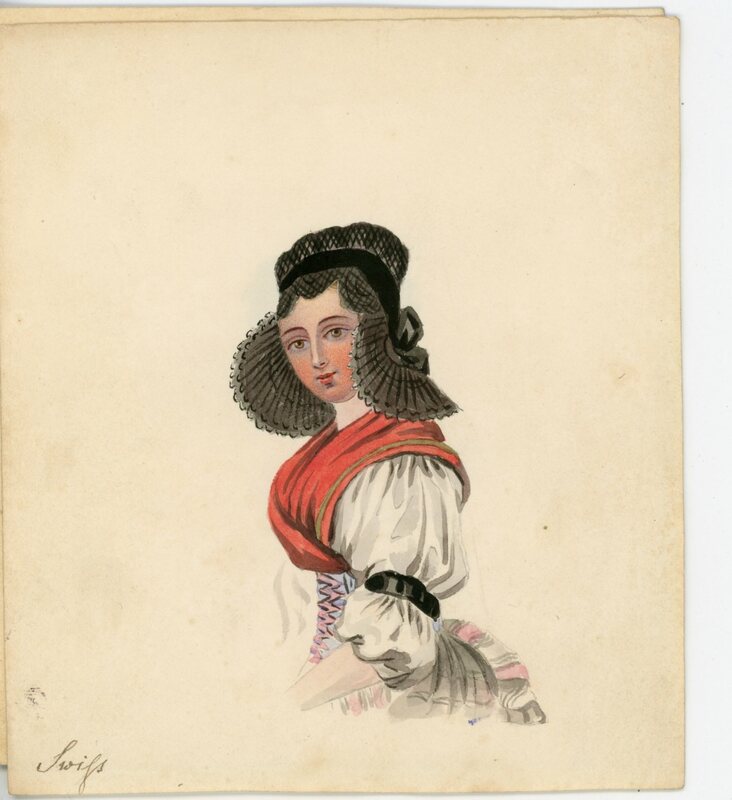 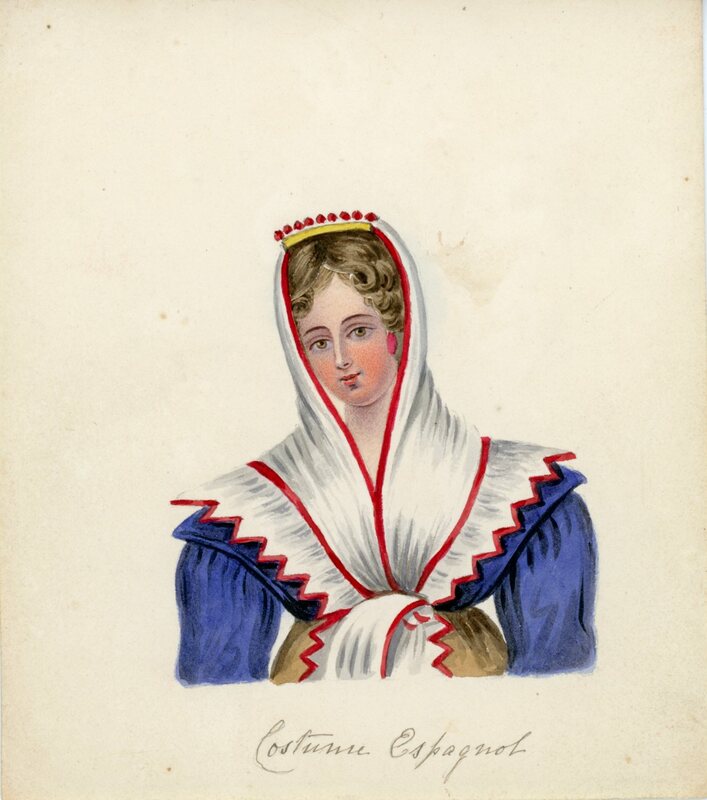 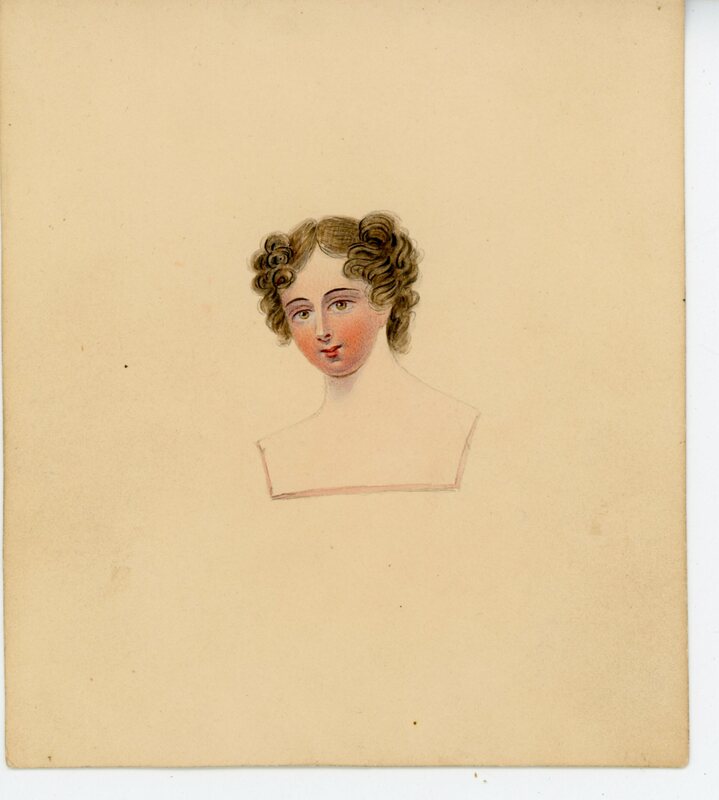 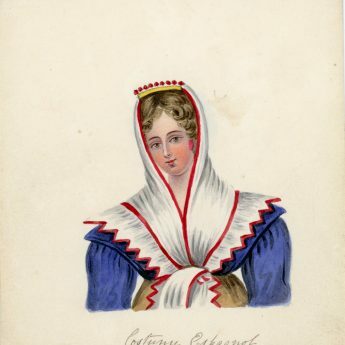 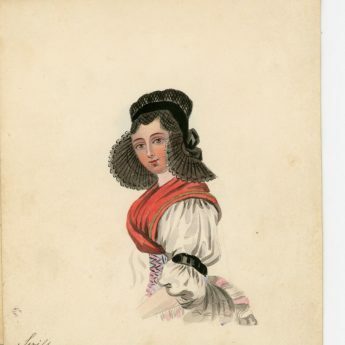 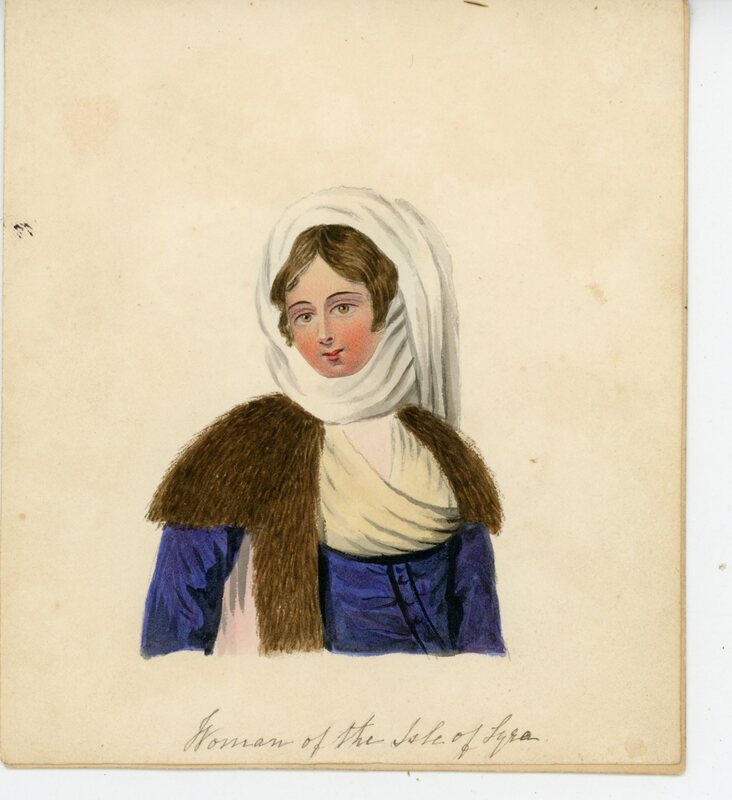 It comprises two head and shoulder portraits painted on card together with eight half-length costumes with cut-out faces that are cleverly designed to be overlaid on the portraits. 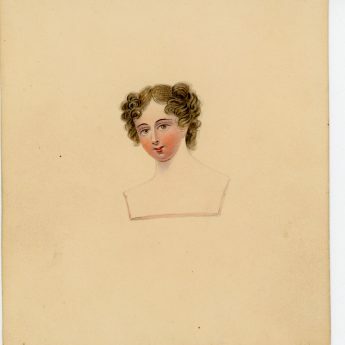 Each watercolour has a contemporary caption or date. 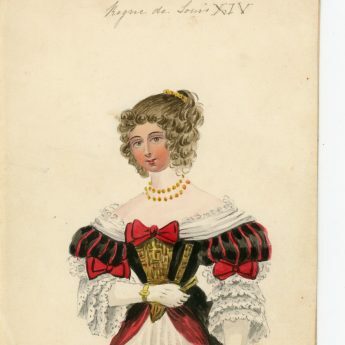 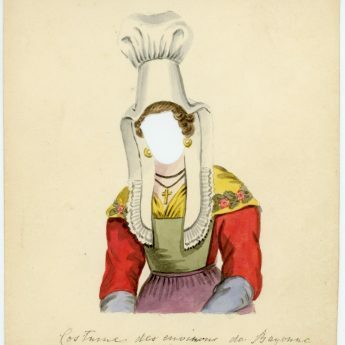 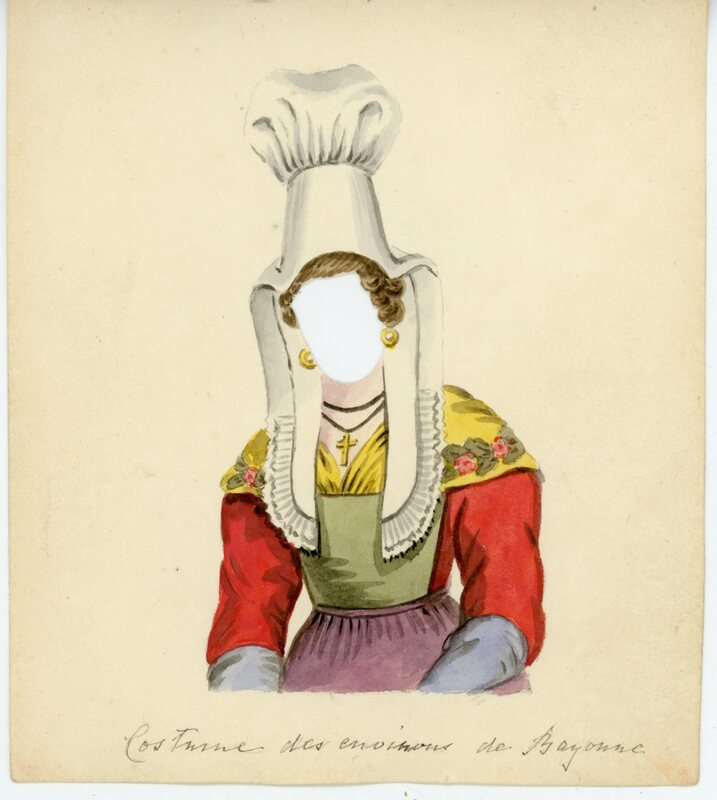 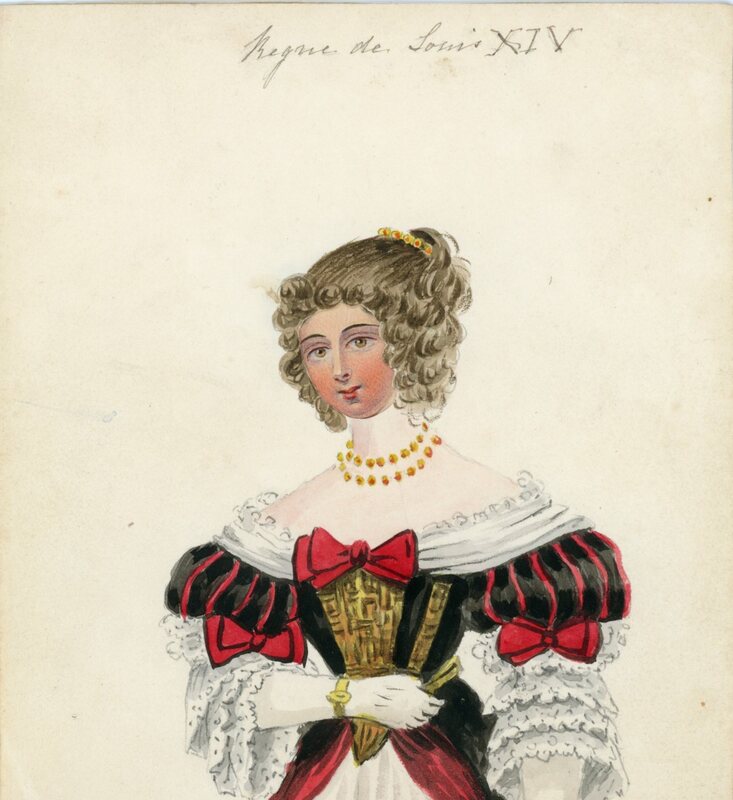 Five of the costume overlays feature traditional dress including ‘Costume des environs de Bayonne’ with its tall white hat, ‘Costume Espagnol’ with a large red and white head scarf, and ‘Regne de Louis XIV’ with a rich red, black and gold dress and gold jewellery. 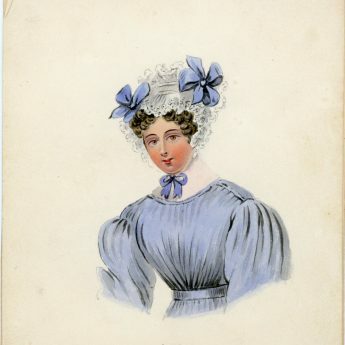 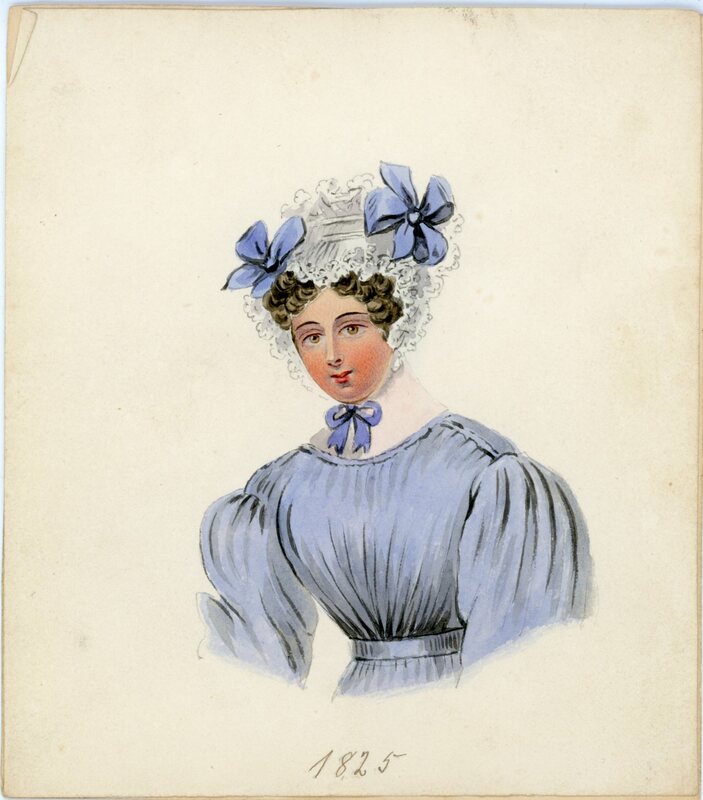 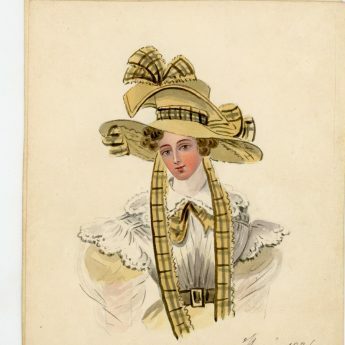 The other three overlays feature the Parisian fashions of 1816 with ostrich feathers on the hat, 1825 with a more modest cap prettily trimmed with blue ribbons, and 1826 with a wide-brimmed straw hat decorated with checked ribbon. 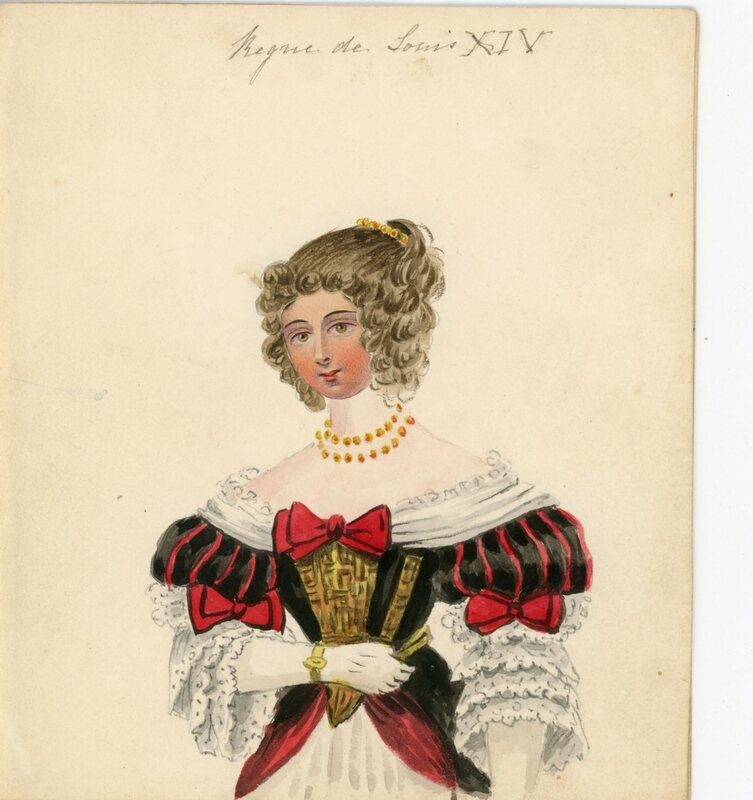 The dolls are both painted on card; the costumes on lighter weight paper. 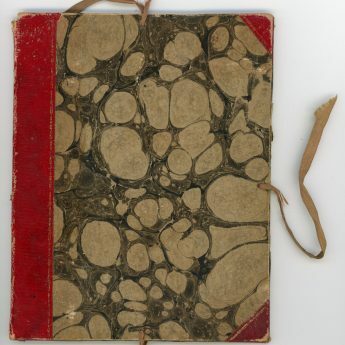 They all show light age-browning around the edges but are otherwise in good condition. 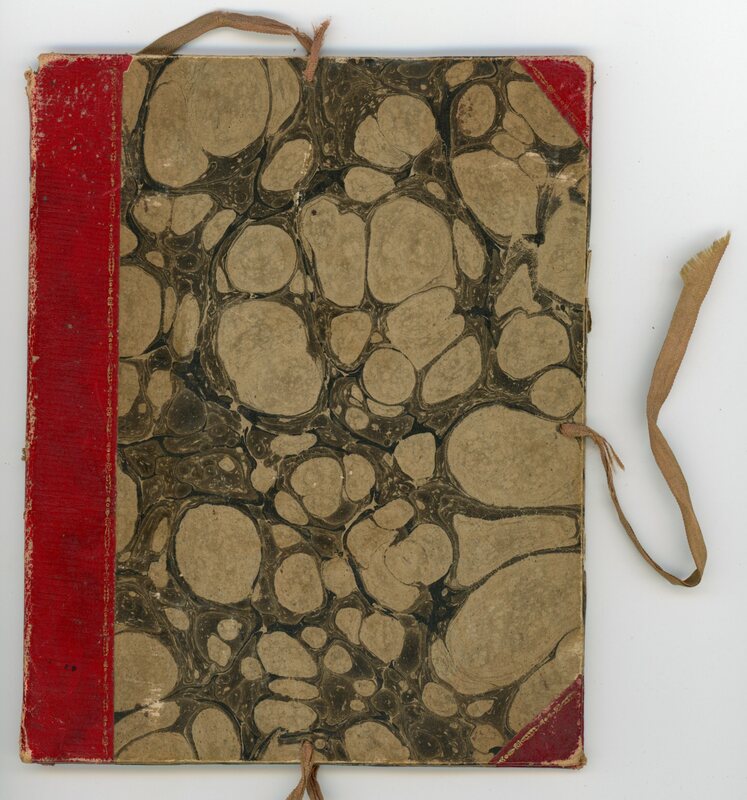 The watercolours are housed in a cute wallet of half-leather and marbled boards with two remaining silk ties.